For 1000 years Ripon administered its own justice and policed its own streets. In the 13th Century the Wakeman was responsible to the Archbishop for arrangements within the town and for its security. The Wakeman could exact fines and was required to make compensation in the event of burglary during the hours of the watch. By the end of the 16th century, the overlapping jurisdictions of Archbishop, Chapter and Wakeman were no longer proving effective. Reforms were introduced in 1598 with a new, fourth, Town Book setting out duties, responsibilities and penalties. Even today, every night at 9 o’clock, all year round, the Ripon Hornblower still ‘sets the night watch’ at the four corners of the obelisk in the Market Square: a proud city tradition. 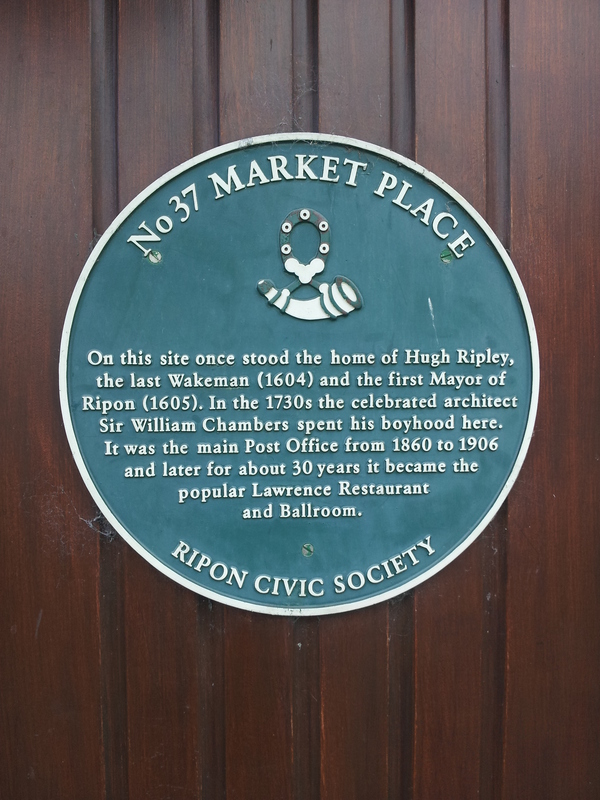 Hugh Ripley was the last Ripon Wakeman and then the first Mayor of Ripon. His house still stands on the Market Square.